Oscar-winning actor Russell Crowe lost his way kayaking in the waters off New York’s Long Island and was picked up by a U.S. Coast Guard boat and ferried to a harbor, officials said Sunday. The U.S. Coast Guard was patrolling the area, and heard Crowe call out to them from the shore around 10 p.m., Swieciki said. The “Gladiator” actor and his friend, who Swieciki didn’t recognize, paddled over to the boat. The Coast Guard officers pulled them up and, along with their kayaks, gave them a ride to Huntington Harbor. 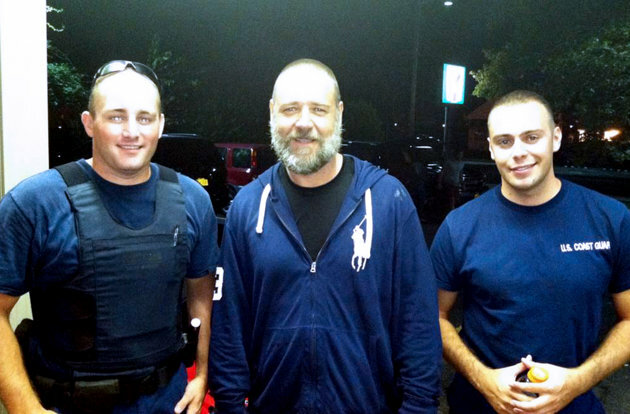 Crowe is on Long Island filming a new movie called “Noah” in Oyster Bay. The biblical epic is directed by Darren Aronofsky and scheduled for release in 2014.